As the new academic year begins, many schools are planning field trips to see the Shroud for its historical and scientific significance. After Royal Oak, the Shroud will head to San Antonio. The Shroud of Turin has been believed for nearly two millennia to be the cloth used to wrap the body of Jesus of Nazareth. The Shroud itself has been a source of comfort to Christians and a source of controversy for scientists as to its authenticity. People of all religions have come to their own conclusions by visiting the exhibit at 3506 Rochester Road, just north of 13 Mile. This self-guided, audio-visual, one-hour tour has 12 chambers with more than 50 artifacts from throughout history dating back to 14 AD. 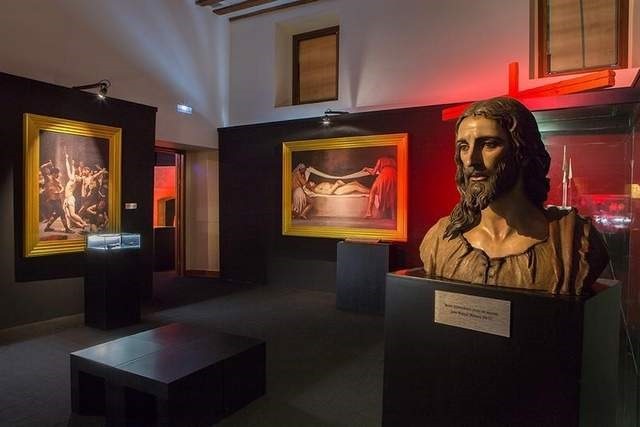 Artifacts include a relic containing an actual piece of the Shroud from Pope Clement XII dated 1730, a Solidus coin from 685 AD — the first to feature the face of Christ — the Tiberius Tribute coin, manuscripts, a 1st century Roman spear from the first century, and a painting of Christ on cotton that was shown in Lisbon for over 200 years,. The exhibit is available in English, Spanish, Russian, Albanian and Arabic. The exhibit will visit 70 U.S. cities over the next 20 years. It was created in Spain by a man named Alvaro Blanco. He researched the Shroud for many years, and almost went bankrupt locating unique historic pieces and setting up the exhibit.